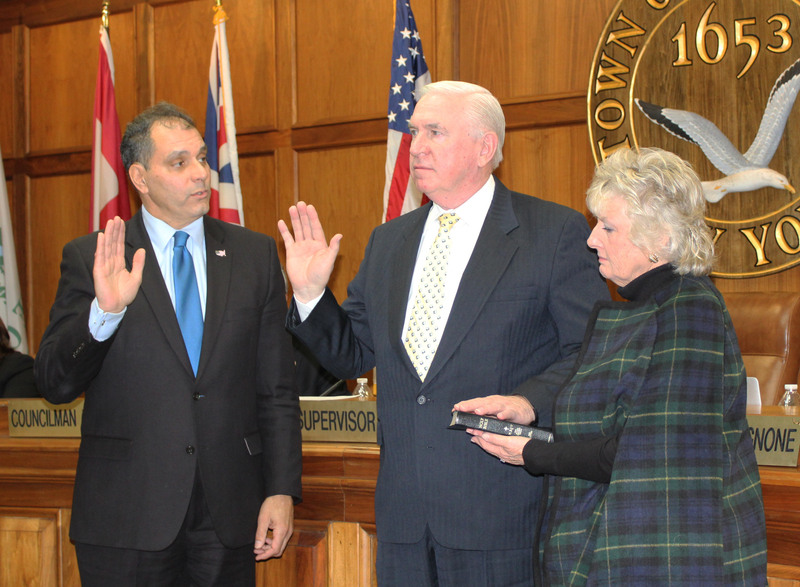 On January 8, 2019, the Oyster Bay Town Board appointed Mr. Brian J. Noone of Syosset as the first Inspector General in Town history. The position of Inspector General was created to further protect taxpayers and the Town when contracting with and purchasing from outside vendors. As Inspector General, Mr. Noone is charged with standardizing the Town’s purchasing and contract administration; monitoring compliance with all applicable procurement guideline policies, and requirements of federal, state and local laws; providing technical expertise to ensure all contracts, requests for proposals and bid solicitations are posted on the Town’s website; and expanding the Town’s access to municipal and state electronic systems to verify the qualifications and standing of potential contractors. Mr. Noone’s gained considerable experience throughout this 30 year career working with Federal agencies and the private sector. Mr. Noone has worked extensively with the United States Federal Bureau of Investigations (FBI), United States Central Intelligence Agency (CIA), and the United States Drug Enforcement Administration (DEA). He has specialized in covert and overt international and domestic operations in intelligence probes, enforcement operations and clandestine business structures. Mr. Noone has expertise with uncovering concealed income, exposing the manipulation of financial systems, and investigating illegal money laundering related to commercial and trade fraud. Throughout his career with the DEA, he served as Chief of Task Force Operations on Long Island and supervised trans-national jurisdictional matters into narco-terrorism, money laundering, kidnappings, homicides, drug smuggling and extradition of fugitives. Mr. Noone also served as the Chief Security Officer of National Grid – overseeing the revision of their physical and cyber security operations and government compliance programs. National Grid is the second largest U.S. utility and this role provided Mr. Noone with significant knowledge of procurement and bidding processes in his capacity as Vice President of Corporate Security. Mr. Noone has served as an industry representative and author/contributor to the United States Department of Homeland Security’s policies for critical infrastructure protection in the energy industry. He is a Medal of Valor recipient from the International Narcotics Enforcement Officers Association for his actions.